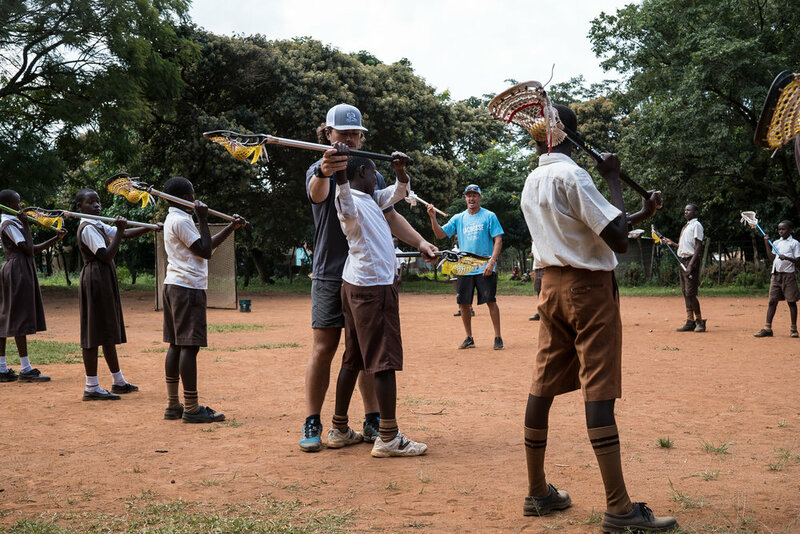 This summer we had a spectacular few weeks in rural western Kenya with a great group of volunteer coaches and students. This summer we opted for a larger group (6 people) and dug in to support the Butula Hekima Academy as the school is growing and developing it’s campus and programs. The days grew warmer throughout the morning and by afternoon we shortened our sessions to just one hour. With the added water source from the LifeStraw Community filter, we could provide clean drinking water for students and staff throughout the day when rolling electrical blackouts hit the village and school. Without this essential power source, the water pumps could not run and unfiltered ground water ran through the school’s water distribution system. We held our annual community lacrosse festival on Saturday - inviting the school students as well as parents and community leaders to enjoy a day of fun and games along with lacrosse and a cook-off where all our volunteers provided lunch to the students and parents.